Crime and violence are on the rise making self-defense a necessity. In the fast-paced society where we live, more and more people want a no-nonsense, reality-based fighting system. Originally developed for the toughest army in the world, the Isreali Defense Forces– Commando Krav Maga (CKM) is available to the public. Proper training can prepare any man or woman to effectively defend themselves within months! Over the course of four, intense, 10-hour days you’ll learn in a safe environment the CKM comprehensive & modern curriculum (foundation level – 1 & 2) including: how to survive fast & brutal striking scenarios, aggressive hold ups with a gun, vicious blade attack, ground survival, violent strangles, headlocks, improvised weapons, multiple attackers and more… You will get highly detailed instructions from the founder and chief instructor Moni Aizik or his professional CKM Elite Team Instructors. During the four days of 10 hours daily training (40 hours) you will receive a very professional teaching and go through complete transformation that will prepare you to defend yourself no matter what!]. Our regular bootcamp price for the past 10 years was $2000, however as part of our special promotion the bootcamp price now is only $890 US dollars! That breaks down to only $22 an hour for this training, which adds up to an incredible value. Start your transformation journey today! Choose a CKM bootcamp near you! Become a Commando Krav Maga Instructor and earn a prestigious official Diploma, Teach the fastest growing reality based system in the world, help save lives & increase your income! Teach part time, full time or private lessons. Make good money doing what you love! Check out our schedule and apply online! Attend Bootcamp and learn a how to defend yourself no matter what! Enroll in CKM University Online to continue your journey with learning CKM. SPECIAL OFFER- for the Ultimate Bootcamp Israel May 23, 2019. Bring a friend/family member that never took CKM bootcamp & both of you will pay only half price! 4 days Commando Krav Maga (CKM) - APPLY NOW! Lvl 1-4: 4 days, Lvl 5-7: 6 days, Lvl 8: 8 days Commando Krav Maga (CKM) Ultimate Bootcamp - APPLY NOW! 4 days CKM SUPR KID - APPLY NOW! 3 days CKM SUPR KID - APPLY NOW! Lvl 1-4: 4 days, Lvl 5-7: 6 days Commando Krav Maga (CKM) Super Bootcamp - APPLY NOW! 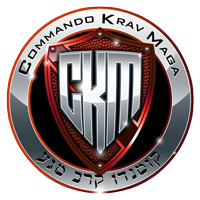 3 days Commando Krav Maga (CKM) - APPLY NOW!